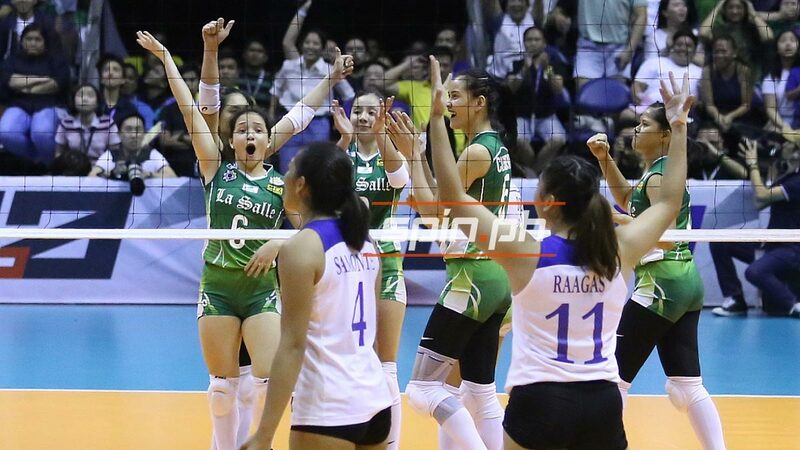 DE La Salle coach Ramil De Jesus credited setter Michelle Cobb for dismantling Ateneo’s net defense in a big three-set win that sealed the Lady Spikers' place in the Final Four spot of the UAAP Season 81 women’s volleyball tournament. After leading the league in blocking with 110 kill blocks, or an average of 2.62 per set, in their first 11 games, the Lady Eagles were left without a single block in 27 attempts on Saturday at the Smart-Araneta Coliseum. De Jesus said that has a lot to do with Cobb tricking the defense of the Lady Eagles, led by top three blockers Maddie Madayag, Kat Tolentino and Bea De Leon. “Madaming variations eh so na kay Cobbie na ang diskarte roon, sa setter na talaga,” De Jesus said. Although the Lady Spikers followed his game plan, the 11-time UAAP champion coach said Cobb found a way to outsmart their rivals. Tolentino, who was limited to just six points like De Leon and Madayag, admitted that La Salle’s brilliant plays broke down their net defense. “La Salle really came prepared. They knew how to hit the ball and make their shots. It’s good for them that they scattered us really well and I think that was a big factor,” Tolentino said. Madayag, the league’s top blocker with 0.90 blocks by set, praised the attacking of the Lady Spikers led by rookie Jolina Dela Cruz, Lourdes Clemente, Aduke Ogunsanya and May Luna. “We were expecting hard spikes and they weren’t giving that much hard spikes, puro long balls, touch shots nagulat siguro mga dumedepensa,” Madayag said. “Malamang nag aral din La Salle, they study us also and we study them."